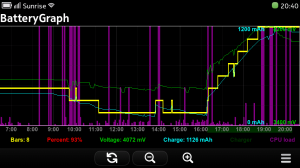 BatteryGraph is an application for Nokias N9 smart phone. 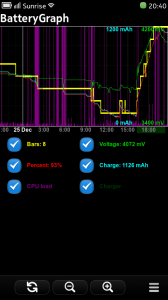 It records and shows your battery level as well as other data. 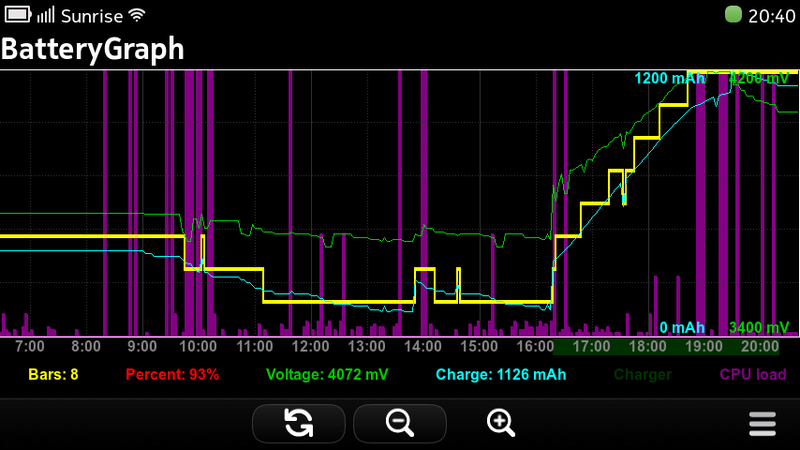 This is helpful to get a better feeling of how long your battery lasts and why it sometimes drains faster. Nice application. 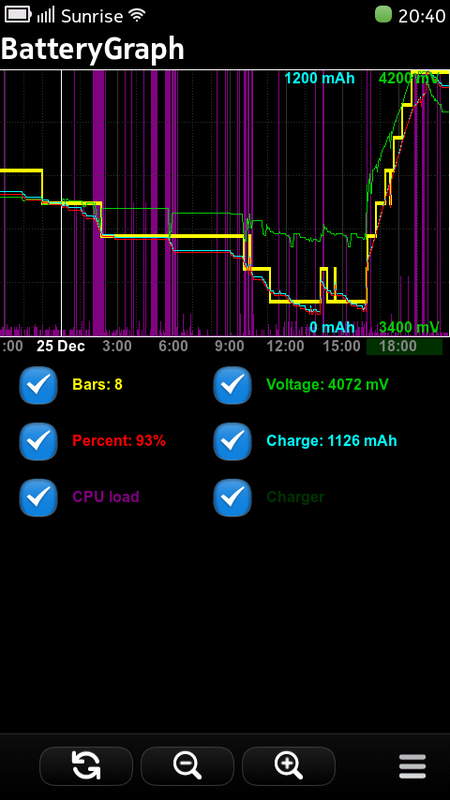 What the “Bars” mean, please? I know from my device as well as from other people that it works fine with PR1.2!